Nashville, TN – As the entire Middle East is being dramatically shaken and undergoing historic changes, there is one place of stability — the state of Israel. Nevertheless, Israel faces a relentless campaign of misinformation that requires a robust response and educational programming. During Proclaim 16, the NRB International Christian Media Convention in Nashville, TN, there will be a session on Thursday, February 25, titled “Israel: Hope in a Region of Crisis” that will feature Kay Arthur, CEO Emeritus of Precept Ministries International. 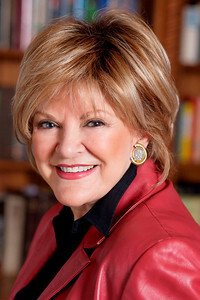 Kay Arthur and her husband, Jack, founded Precept Ministries International in 1970. It has become a worldwide outreach to men, women, and children with Inductive Bible Study training and classes in nearly 185 countries and 70 languages. Kay has written 100+ books and Bible studies, four of which received the Gold Medallion Award. More than 90 million people have been touched through Kay’s teaching programs, Precepts for Life and Precepts from God’s Word, which have been aired on nearly 1,000 radio and television stations worldwide. Kay received the National Religious Broadcasters’ prestigious Hall of Fame Award in 2011. She also won the association’s Best Television Teaching Program award in 2004 and 2009 for the half-hour program Precepts For Life. She holds an Honorary Doctorate of Humane Letters from Tennessee Temple University.